Samsung had a ‘brilliant’ idea this year, to release a 6.3 inched smartphone. I’m talking about the Galaxy Mega 6.3, the biggest ‘phablet’ on the market right now. Previously the Note 2 was situated in the large screen spectrum of devices, but the Mega 6.3 can easily be compared to a 7 inch tablet, especially knowing that tablets usually have mid range specs. 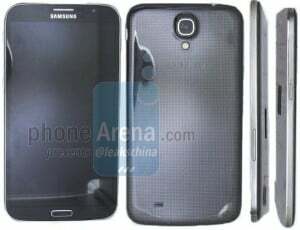 According to phonearena.com a leaked photo is showing us the Dual Sim version of the Galaxy Mega 6.3, dubbed ‘DUOS’. At a closer look we can see that there is no visible difference, except for the fact that the device can sport two SIM cards at the same time. Otherwise the specs are the same, a 6.3 inch screen at 720p, a 1.7 GHz dual-core Exynos CPU, 1 GB RAM memory and an 8 MP camera. It will also run on Android 4.2.2 Jelly Bean. The Mega 6.3 DUOS will carry model number SCH-P729, which we already know has passed the Bluetooth certification. However we don’t know for sure when the device will reach the market and at what price.